I am sure I am the last in Ottawa to make it to Los Tacos de Mauro in the Byward Market area. I first heard about this place last year from a neighbour. He gave it a reserved but positive thumbs up. Now, it seems that everyone has tried it already. They either love it or well, not so much. 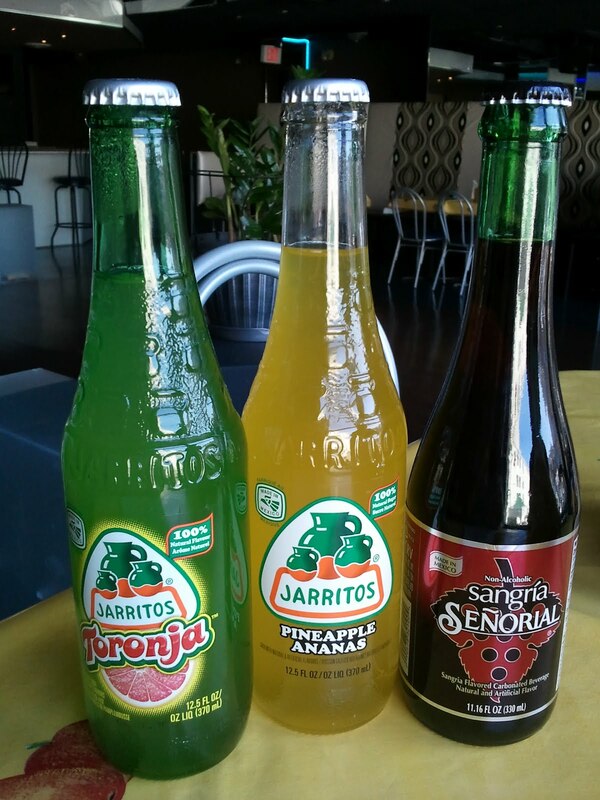 I can't tell if this reflects on their past authentic Mexican experiences or if it is just a matter of taste. Despite a few dissenters, the theme seems consistent - the place is eclectic and the service is charming. 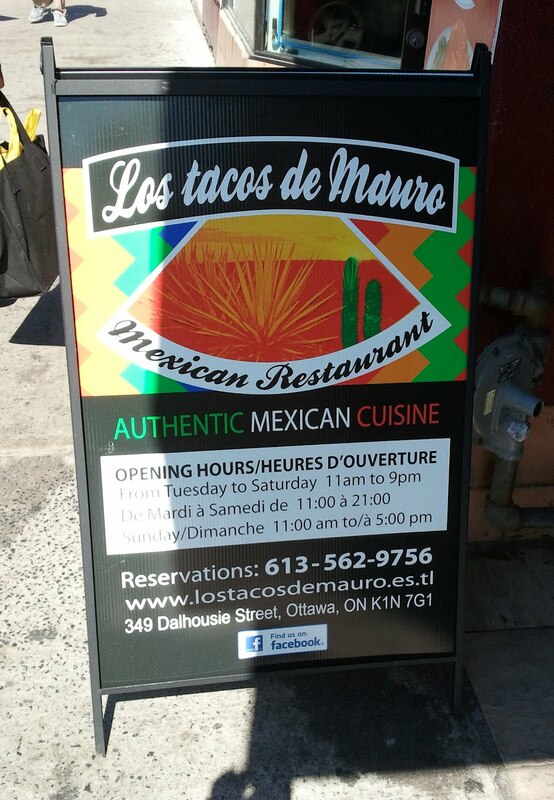 Located at 349 Dalhousie Street, across from the hotel Courtyard Marriott, there is small signage on the building and also a bright, colourful sandwich board propped on the sidewalk. 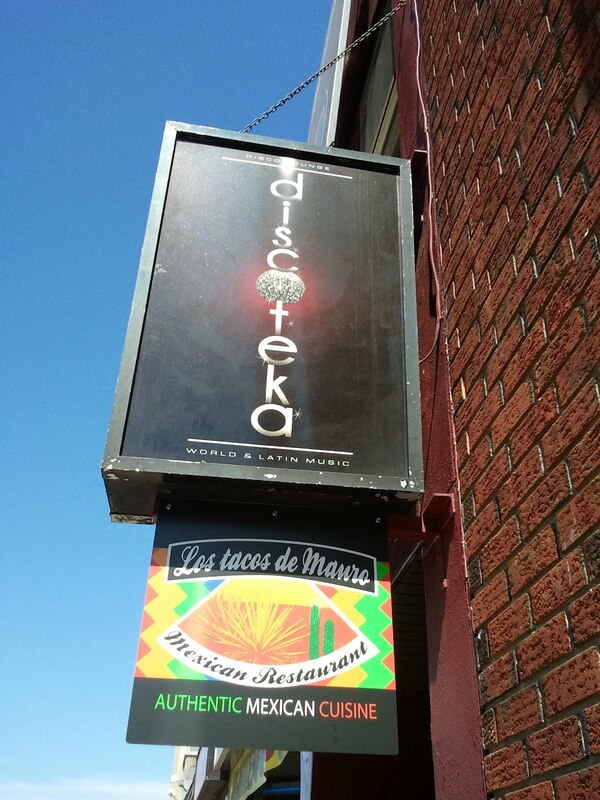 By now everyone knows it as the place upstairs in the discothèque, discoteka, which operates as a restaurant by day and a dance floor by night. It's true. I lunched in a disco lounge complete with at least six glittery disco balls. Six! Maybe more. Tempted with their non-standard soda choices, all made in Mexico, I selected the fizzy Grapefruit. Very refreshing. I found my neighbour's soda Sangria to be too sweet. Both were $2.20. 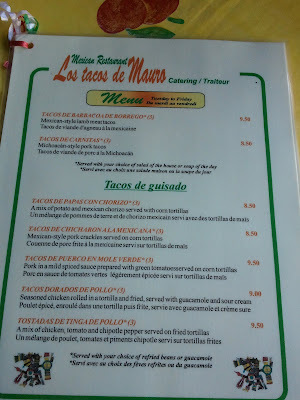 My eyes stopped at the Tacos de Carnitas (Michoacán-style pork tacos) 3 for $8.50. 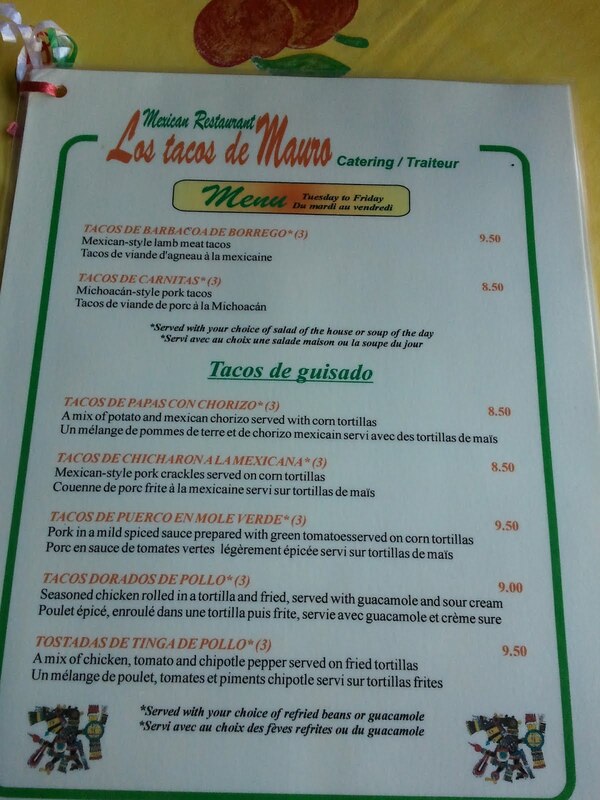 You can check out the rest of their menu on-line. My lunch came with a salad. Basic, fresh, filling and loaded with chunks of avocados. 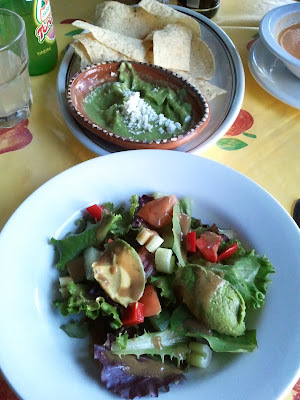 We were also served a starter of large wedges of tortilla chips and guacamole. 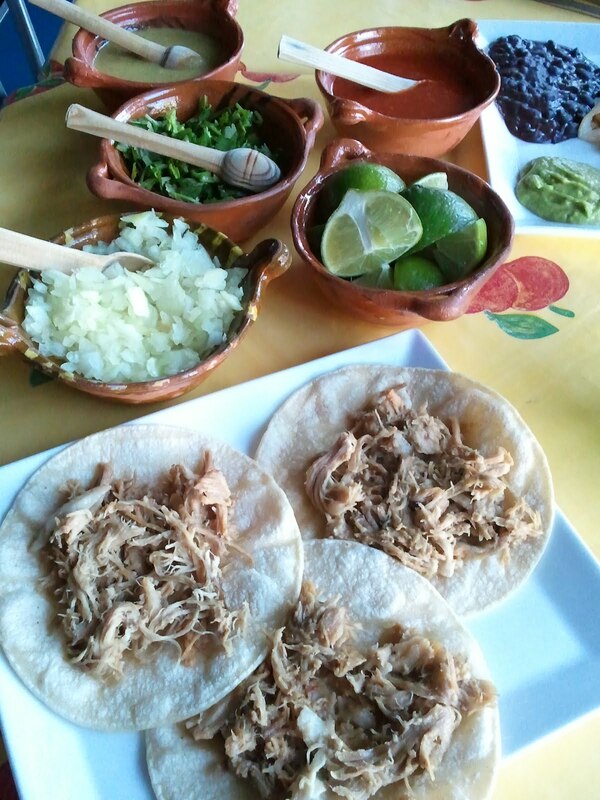 Although I found the purée of green a bit too salty, it was an excellent addition to my carnitas, where seasoning was needed for the pork. The condiments offered with my dish were: a squeeze from fresh limes, chopped cilantro, diced onions, salsa verde with a jalapeño bite and a piquant red sauce. In addition to slathering on the guacamole, I also pulled on a few pieces of the queso blanco cheese. My two 'cheats' made the dish since the pork, although very tender, was a bit bland. 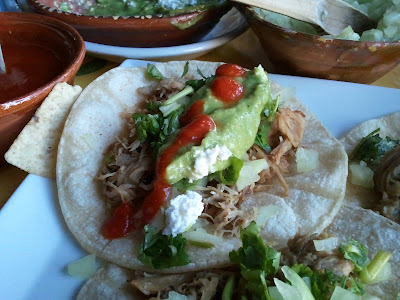 The soft corn tortillas were supple but sturdy and carried the load well. I tried a bite of my neighbour's Tacos de Papas Con Chorizo (a mix of potato and Mexican chorizo) but it wasn't to my liking. Too mushy and plain. A bit of a surprise considering the addition of chorizo. She also had the carrot soup. I winced at the school of Goldfish crackers swimming on top. I took a pass on a taste. The service was caring and attentive. So pleasing. Even the chef came to the table to help deliver our lunch. This is a CASH ONLY shop. For $10.70 before tax and tip, I had an exceptionally filling lunch. Depending on your menu choice though, it could be hit or miss. It is a long way to climb, but I would enjoy lunching on those carnitas again.